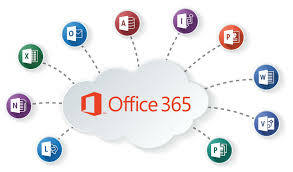 Office 365 can be used on PCs, Macs, Tablets and Smartphones. Downloaded copies of Office remain active as long as the associated St Vincent’s account is active. Use your College email address and your password to login. First years’ password will be provided when students are introduced to computing. Staff can contact the Computer Department for their account details. Once logged on to Office 365 you have the option to install Office on your device (if not already installed). You can do this on a maximum of five devices. As part of the Office package you will have access to One Drive for Business. You can save all your files here to have seamless access across all your devices. To use Office on your mobile phone, you can go to the App Store and download Office components such as Outlook, Excel, Word, etc. For help on any Office 365 products click here to access a range of tutorial videos which are a great starting point.